We don’t build our packaging strategy around a goal of winning awards, but it sure is nice when driving efficiencies in materials, factory operations and logistics – all while supporting Dell’s environmental goals – receives the recognition we’ve seen in recent months. Yes, I’m pleased to announce that we have been selected as a 2017 American Package Design Award Winner for our new design of Dell Packaging by Graphic Design USA. We also won seven Red Dot Product Design awards, including the top honor Best of the Best distinction for the Dell Canvas and six Red Dot awards for the “high design quality” of our products. 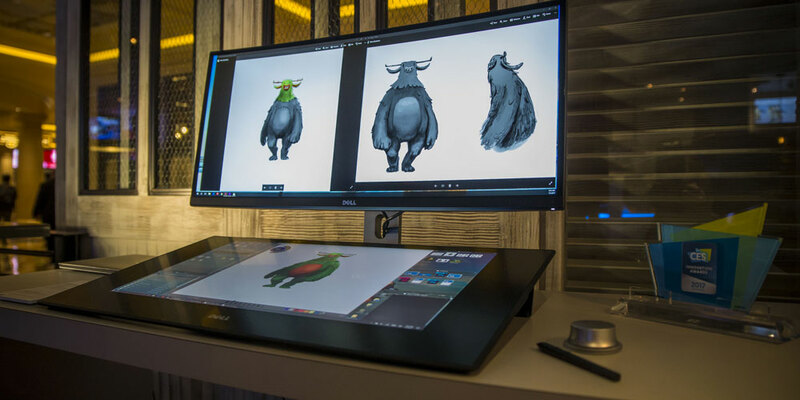 Dell Canvas also received a Gold Award while two other Dell products won Design Excellence honors from the International Forum (iF) Design Awards. The American Package Design Award by Graphic Design USA is a prestigious honor as it emphasizes the value graphic design brings to business and society. Packaging is a key element of our customer experience because it represents our products and is the first thing our customers see and experience, way before the product itself. If it is a hassle to open and re-pack, our customers can get frustrated, tarnishing the experience with our great products. We took all of this into consideration when we recently transformed packaging across our entire product portfolio with the goal to make the customer experience equally successful in addition to the product protection and the cost of packaging. Graphic Design USA recognized our new packaging for reinforcing simplified access and removal of the product with easy to re-pack boxes, updated visual graphics and improved retail packing that clearly outlines product details for comparison. Our efforts to be sustainable with greener materials, elimination of surplus materials, and a clean and minimal design helped result in this honor and further amplifies Dell as a leader in packaging innovation. This might sound familiar as just last month we also announced a tech industry first with the shipping of ocean plastics packaging with the XPS 13 2-in-1. The Red Dot Product Design Awards is an international product design competition that has been around since 1954. Red Dot appraises the best product designs each year and this is the third year in a row that Dell products have been recognized. Dell Canvas took home the top honor of Best of the Best for “top design quality and ground-breaking design” and six products received Red Dot awards for “high quality design” including the 24 Touch Monitor, Wireless Speaker System, XPS 27, Dell EMC PowerEdge Hard Drive Carrier, Dell EMC PowerEdge R740 and Latitude 7285 2-in-1 with the Wireless Charging Mat and Stylus. The Red Dot jury only recognizes products that standout for good design from comparable items on the market. Our vast range of products reflect world-first innovations designed to redefine personal and enterprise computing. As our product portfolios change, design is always one of the many pieces of the device that we carefully craft for our customers. Winning these seven awards distinguishes Dell as a powerhouse in the technology industry for not only performance but design as well. The American Package Design, Red Dot and iF Design awards demonstrate our continued commitment to all aspects of the business for our customers, from products right down to packaging – it’s all in the details! Be sure to check out Dell on Red Dot’s website, the iF Design website, and Graphic Design USA winners website and the April edition of their print magazine to learn more about these awards. Congratulations team on a job well done!